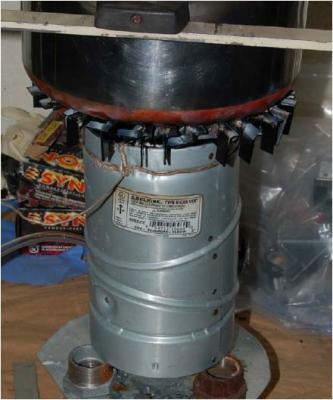 The "Easy 5 Gallon Bucket Rocket Stove", is very easy to build. All materials anyone needs to cook a good hot meal is a metal 5 gallon bucket, some stove pipe and vermiculite, pearlite or similar insulation (even "wood ash" can be used). Since the insulation separates the heat from the housing, almost ALL of the flame and heat is directed up to the cooking pot or utensil. Almost NO heat is wasted, making it one of the most efficient rocket stoves I've seen. Definitely one one the EASIEST to build and transport! I worked with GTZ-EAP in Uganda for 3 weeks in August of 2003 . 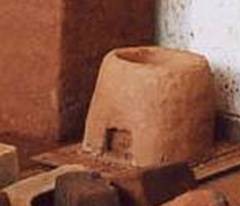 During that time I built a number of metal and brick stoves - both household and institutional - as well as bread ovens and a number of insulated ceramic combustion chambers . I didn't design the 2 pot Lorena stove but I did offer some suggestions on its design . When I arrived GTZ had already begun developing prototypes for the two pot 'rocket ' Lorena mud stove as well as a single pot shielded mud stove. I made a number of recommendations: that they insulate the combustion chamber of the 2 pot stove and follow some simple rocket stove principles (shelf under fire, internal rocket elbow geometry, insulation, and proper gaps for optimal heat transfer). quality insulative material such as unfired clay ceramic model . a.. Optimizing Heat transfer is important for reducing fuel consumption. similar tests results as those produced at the Kampala test site. Of course, one avenue that has not been fully explore din Africa is dissemination of the single sunken pot shielded fire mud stove. Given the results of the testing done in Kampala in 2003 , it seems that there is potential for this stove to save fuel . Of course there is still plenty of opportunity for that stove to be poorly built and used.. Although given that it doesn't require two pots for it to work , nor an expensive chimney there is the chance that it could fill a certain niche in the stove world. I can envision multiple shielded fire stoves being constructed in and outside of the house . Each stove sized to a specific pot. 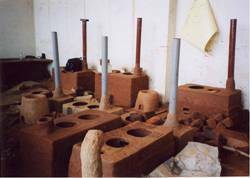 Since the stoves would be very low cost , the users could build many stoves as needed. fumbling around in the dark to work out how to do this. 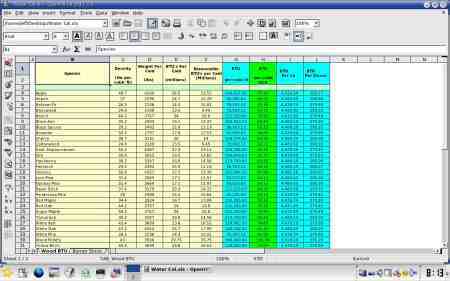 A great Excel sheet pertaining to different species of wood.